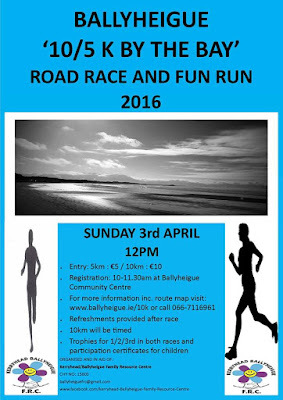 The 5th Annual Ballyheigue 10k Road Race (and 5k Charity run / walk) will take place on April. 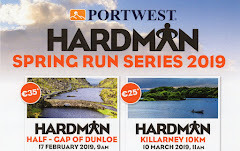 The race will start from the Beach Car Park at 12 noon and follows a tricky uphill route before levelling out on Kerryhead giving you a chance to drink in the magnificent views of Tralee Bay stretching from Banna Beach to Brandon Mountain. 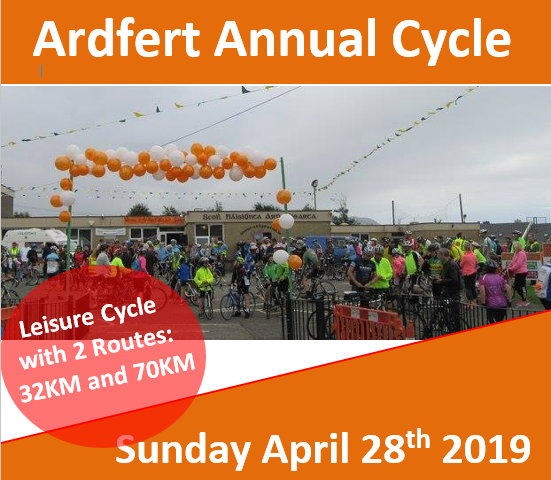 Registration will take place from 10:30am in the Community Centre and the finish will be as always outside the Family Resource Centre in Sraid Thaidhg. Prizes in all categories with refreshments afterwards at the finish.